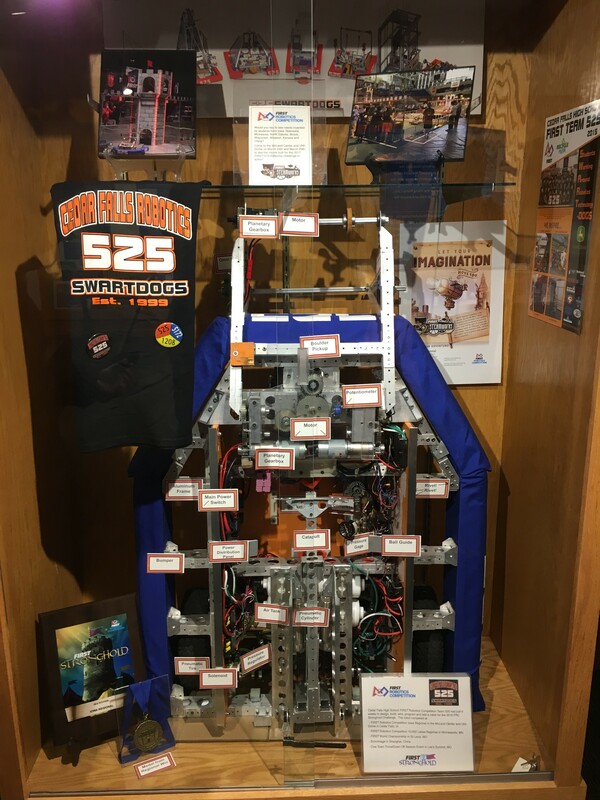 FIRST Robotics Competition Team 525, the Swartdogs spent the month of November sharing our knowledge and experience with others through various outreach events. At the beginning of the month, we educated community members about FIRST by creating, organizing, and setting up a display featuring our robot for the Cedar Falls Historical Society. 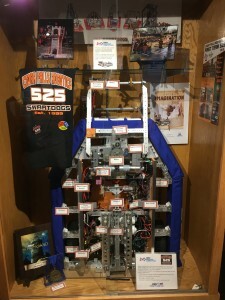 The display featured last year’s robot, Cricket, explained the different parts of the robot, and showed pictures of the robot at competitions. This display was part of the innovation focus during the months of November and December. Later that week, we gave a tour of our build site, the Doghouse, to team 6164 Moonshot Slaybots from Dike-New Hartford, Iowa to give them ideas on how to set up a build site. Team members discussed leadership roles within our team and possible next steps for their team as they build an identity for themselves. Continuing our month of outreach, we travelled to the Cedar Valley STEM Festival at the Five Sullivan Brothers Center in Waterloo. 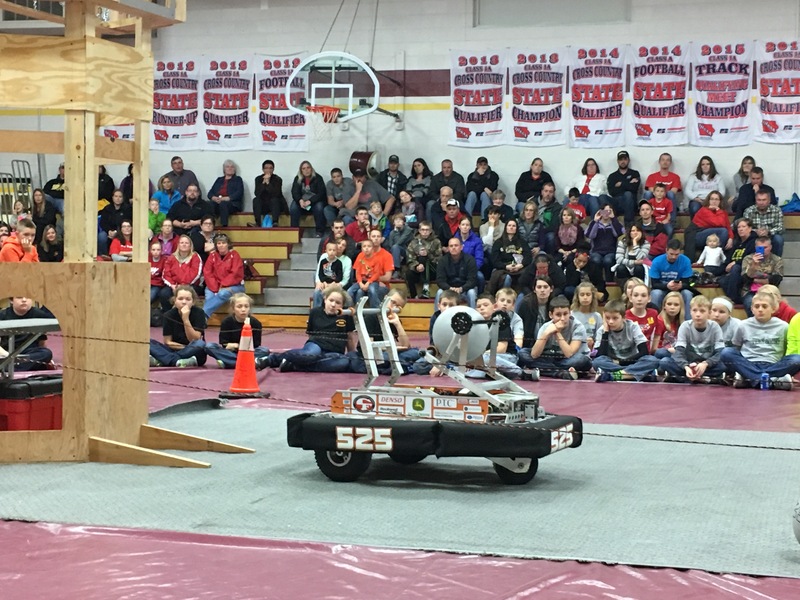 There we partnered with team 5837 Unity4Tech to encourage STEM growth, explain FIRST, and promote attendees at the Iowa Regional. 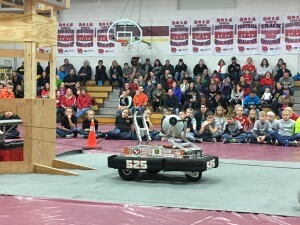 We demonstrated Cricket, showed a video of matches at the inaugural Iowa FRC Regional, and displayed pictures of past robots. 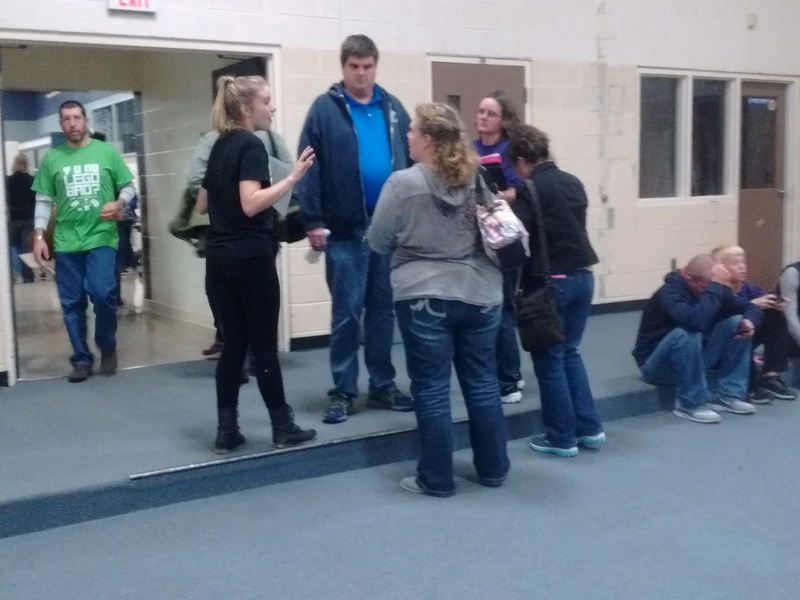 Later in the month, numerous team members volunteered at the Hudson FLL (FIRST LEGO League) Local in Hudson, Iowa. Here, FLL teams got the opportunity to attend an event very similar to an official qualifier. They had fun practicing robot matches, presenting their projects, and interviewing with judges. Team members helped with queuing the teams and running the timer for the matches. 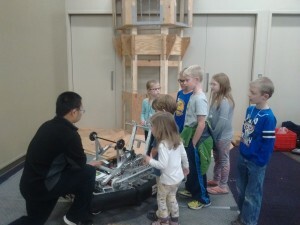 We continued sharing our knowledge with others by helping at the Denver FLL Regional Qualifier in Denver, Iowa. Here, we helped with the take down of match tables and gave a presentation and demonstration. We talked about the way our robot works, the rules of last year’s game, and the difference between FLL and FRC. 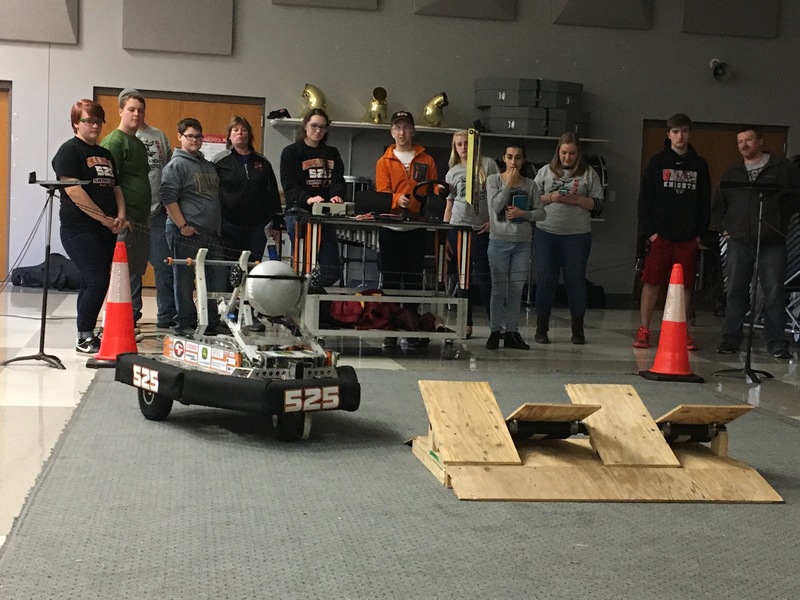 The next day, team members travelled to LaPorte City, Iowa, to assist in a recruitment day for the new Union High School FRC Team. This included driving and explaining our robot while sharing our experiences with students and trying to interest them in joining the new Union team. Finally, we shared our knowledge with other teams by hosting a video conference call focusing on scouting. While most of the teams who participated were rookie teams, veteran teams also participated. We presented information about what we do for scouting at competitions, while other veteran teams told what they do for scouting at competitions. Also, throughout the month, we prepared for the Cedar Falls FLL Regional Qualifier happening December 3. This included finishing tables for the robot matches, making key chains to sell and other details to help make the regional a fun and memorable day for all FLL teams. Overall, Team 525 had a lot of fun sharing our knowledge with others while helping at and hosting multiple outreach events in November. We plan to continue hosting and participating with outreach opportunities throughout the rest of 2016.